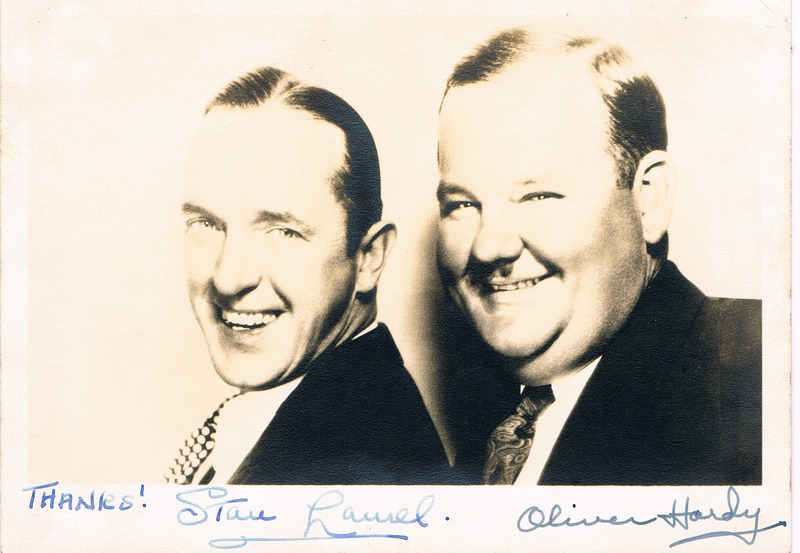 5x7 inch matte stock photo of Stan Laurel and Oliver Hardy signed by both circa 1938. Item purchased from private collector in 2000. Available from AWA, Inc. www.sign-here.com Item sold on 2/11 to Tom Walker.